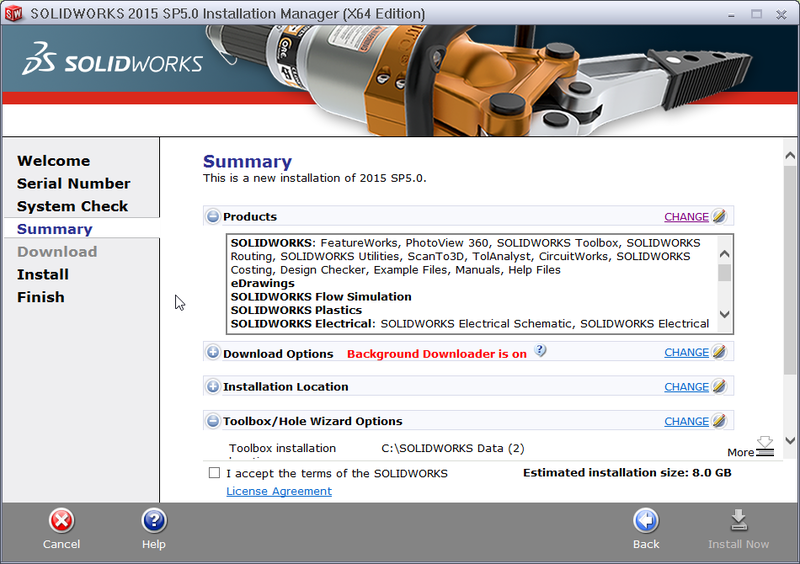 Navigate to http://www.solidworks.com/sek. 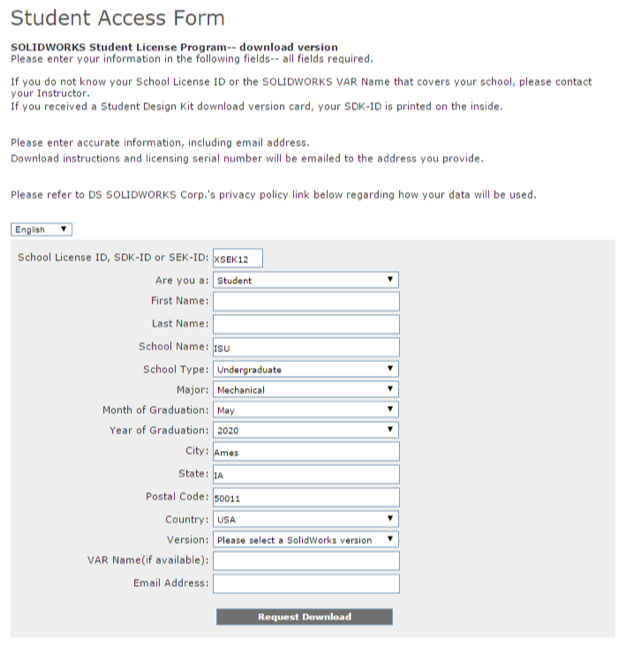 Fill out all fields entering XSEK12 for the SEK-ID field. Click the Request Download button when all fields are filled out to proceed. 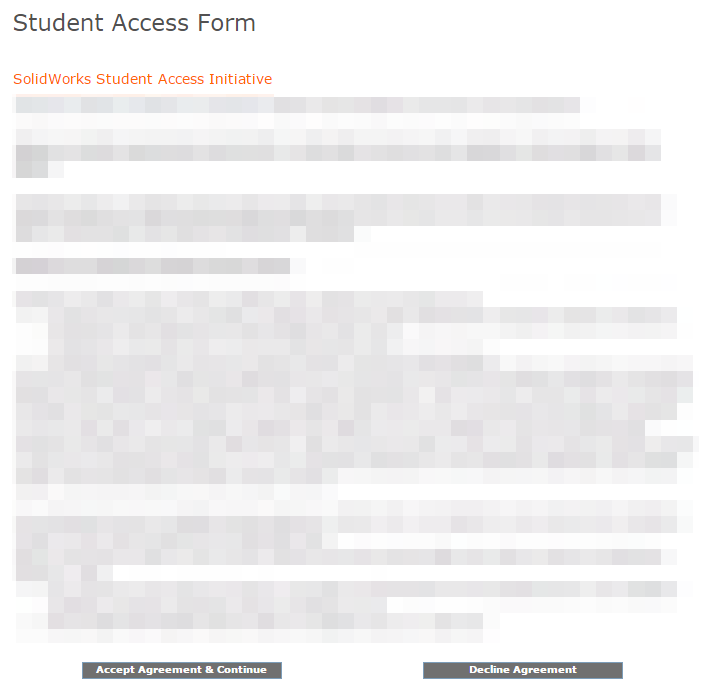 Click the Accept Agreement & Continue button to proceed. 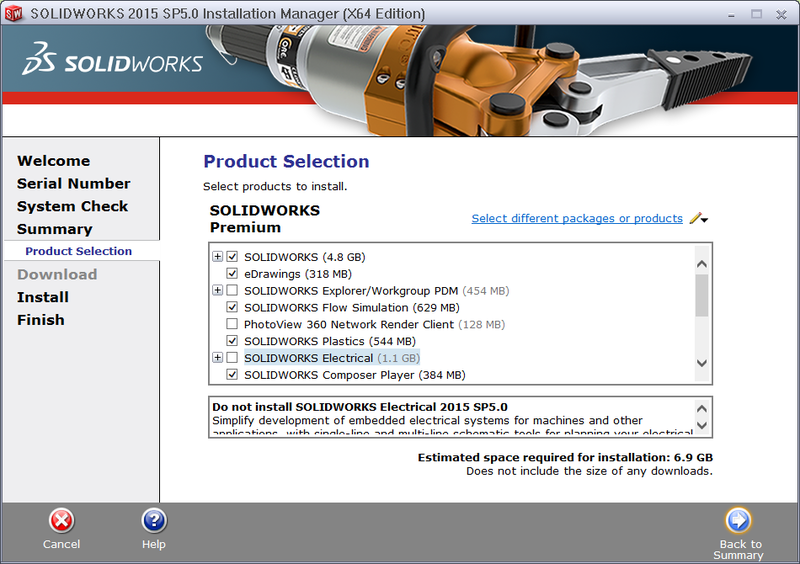 Click the Download link at the top of the page to download the SolidWorks installer. 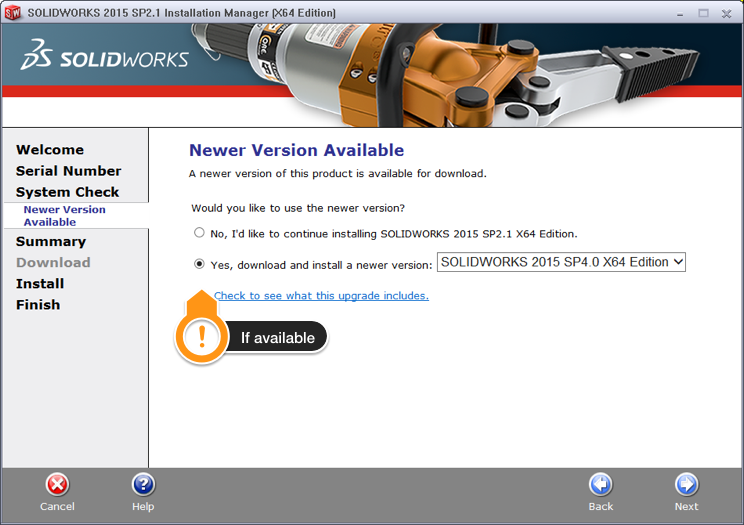 Locate the SolidWorks installer you downloaded and run the installer. 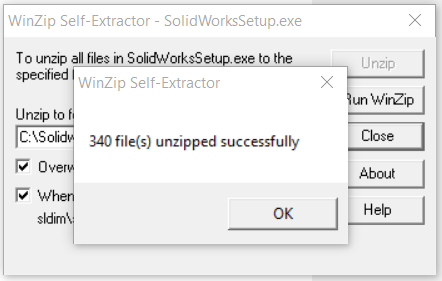 Click the Unzip button to proceed. 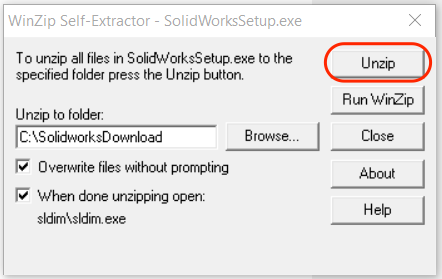 Click the OK button when the extract process completes and the SolidWorks installer will launch automatically. Select the Individual (on this computer) option and then click the Next button in the bottom-right corner of the window to proceed. 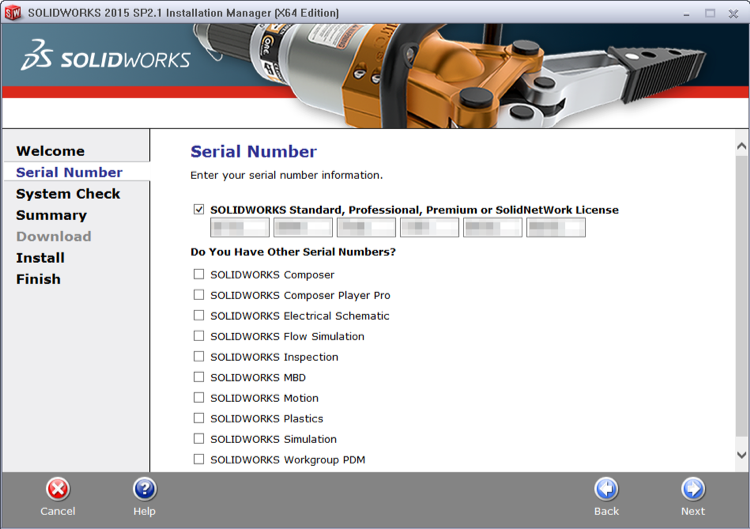 Enter the serial number, see System Requirements above, in the text boxes then click the Next button in the bottom-right corner of the window to proceed. 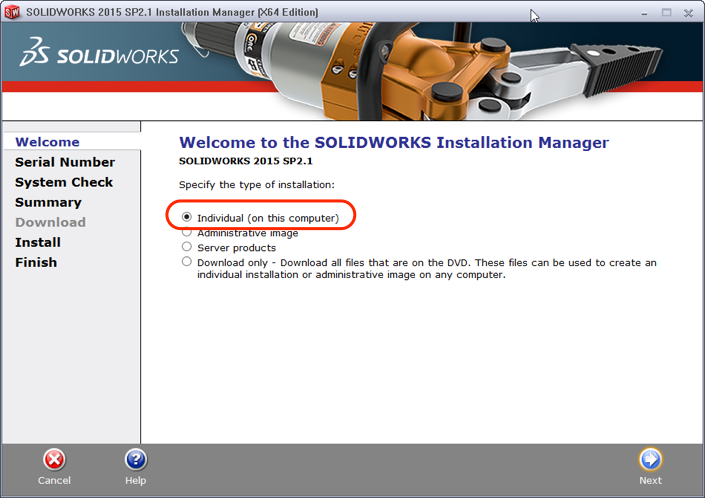 Select the Yes, download and install a newer version option then select the latest version in the drop-down menu. Click the Next button in the bottom-right corner of the window to proceed. The installer will update itself then re-open using the newest version of the installer. Click the CHANGE link next to Products. 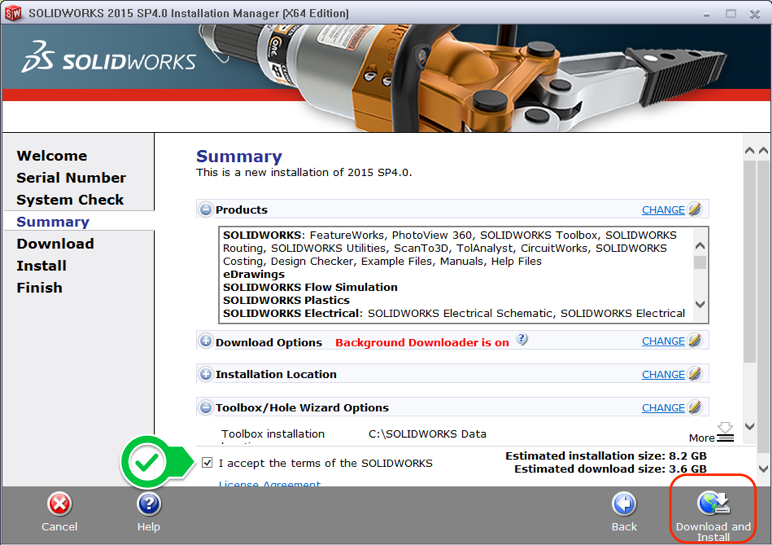 Uncheck SOLIDWORKS Electrical and then click the Back to Summary button in the bottom right to proceed. 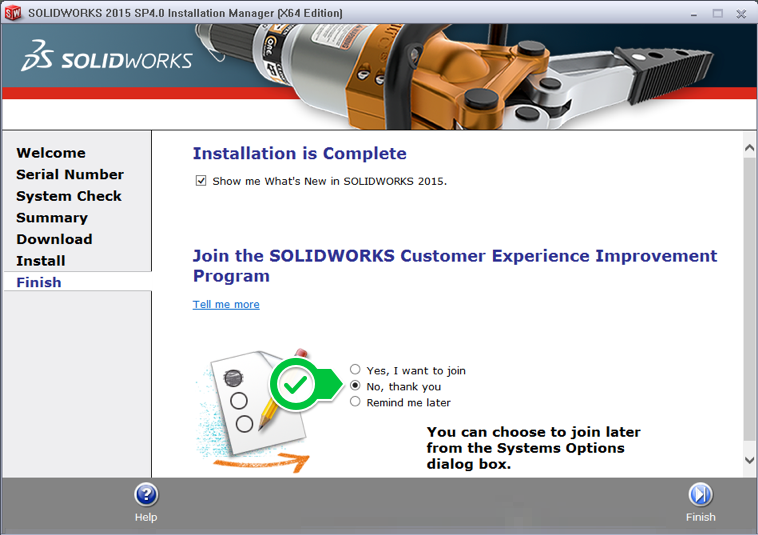 Check the I accept the terms of the SolidWorks License and Agreement checkbox then click the Download and Install button in the bottom-right corner of the window to proceed. 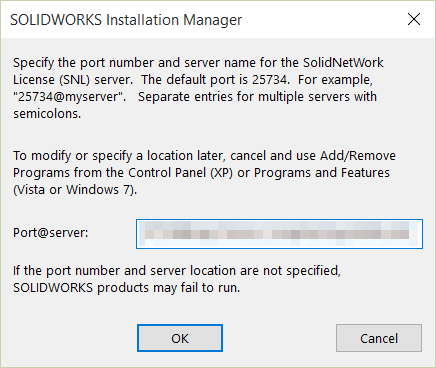 The installer will then ask you for the license server to use. The license server information can be found here. 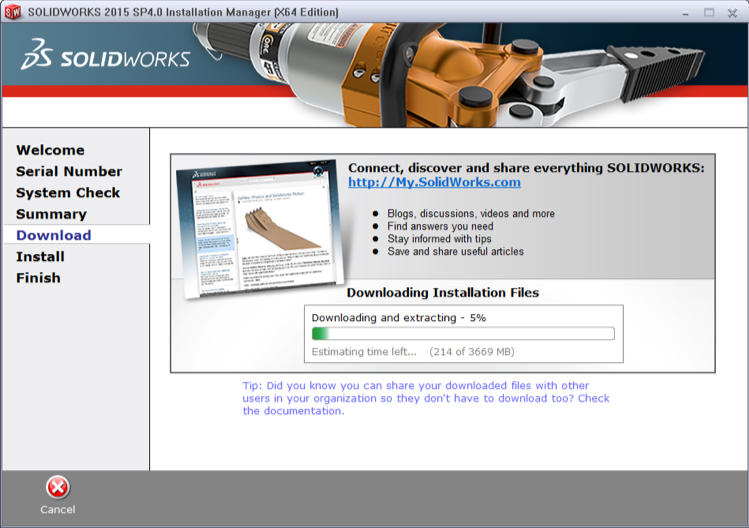 The installer will then begin downloading and installing SolidWorks. Note this could take anywhere from 15-45 minutes. Select the No, thank you option and then click the Finish button in the bottom-right corner of the window to proceed. 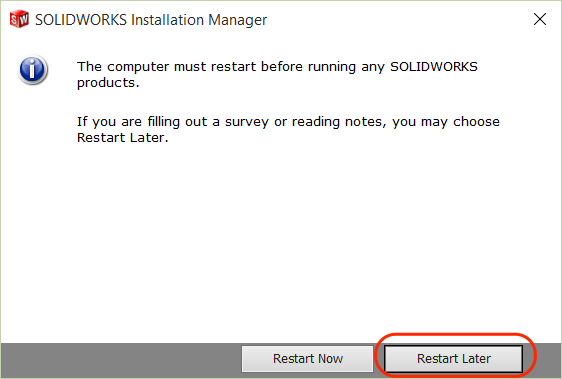 If prompted, click the Restart Now button to restart your computer and finish installation of SolidWorks.